This handy tool will fast become a necessity in you arsenal of knitting and/or crocheting accessories! 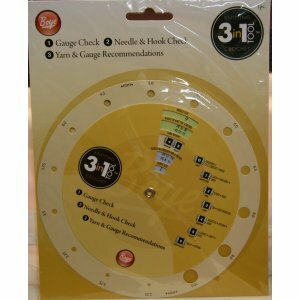 The 3 in 1 Tool includes a spin-wheel gauge check, needle and hook check, and yarn and gauge recommendations. You can also view all Boye 3 In 1 Knitting And Crochet Tool.